Imagine this FULLY FURNISHED piece of paradise you'll never want to leave! IMMUCULATE home awaits your arrival. 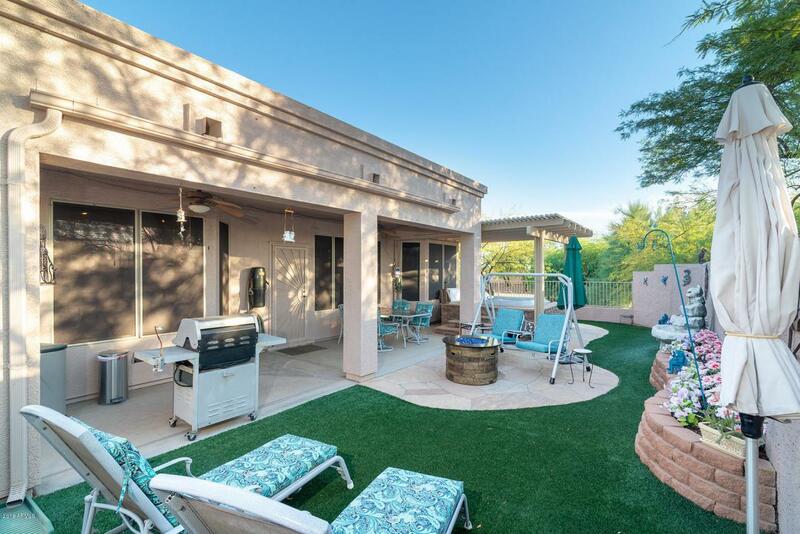 Impressive entrance with private front courtyard with sweeping Mountain views is just the start! 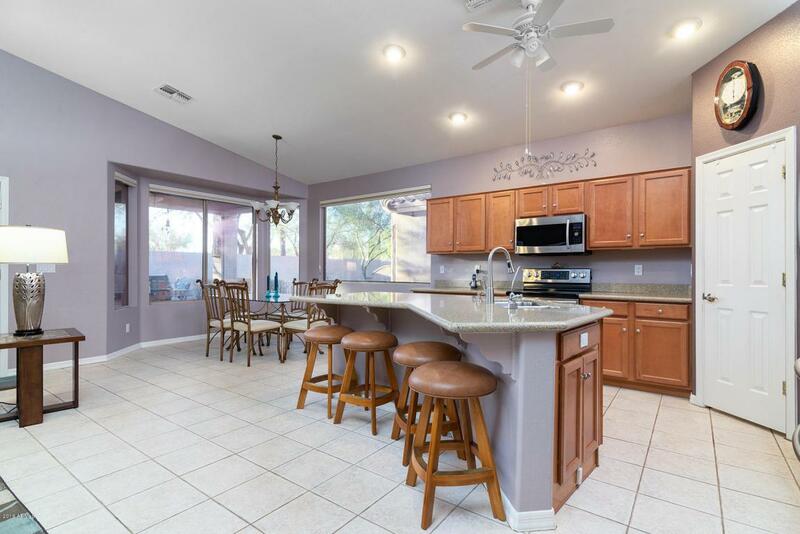 All tile flooring in this light bright open floor plan! Large kitchen with siltstone counters, raised oak cabinetry stainless steel appliances all opening to the greatroom! Master retreat offers a BEAUTIFUL ensuite with all tiled walk in shower with dual shower heads & huge walk-in closet. The split floor is perfect for family and guests offering large suite with full sized bath. LARGE open Den/Office gives additional space needed. 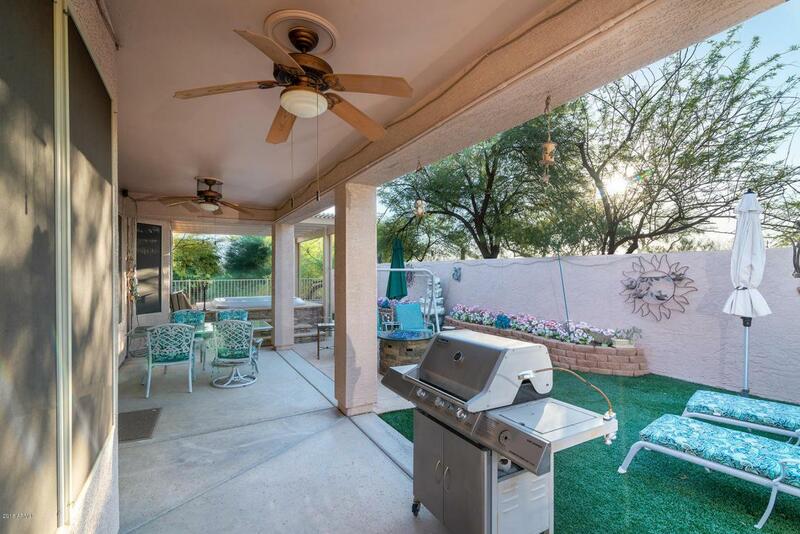 Enjoy the resort style backyard with built in SPA, artificial grass huge extended patio with pergola! Corner lot offers immense privacy! MUST SEE!